We are looking for an afternoon barista. Hours are generally 12-7, weekend hours vary. Duties include serving & preparing coffee beverages, general clean up & cash handling. 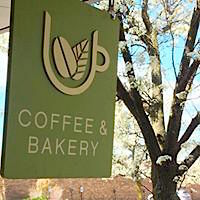 Locally owned coffeeshop in downtown Traverse City. We have been in the business for 25 years. We serve our own handmade pastries and responsibly sourced coffees & teas. Cozy in & out place with friendly staff. Apply in person, phone or email.